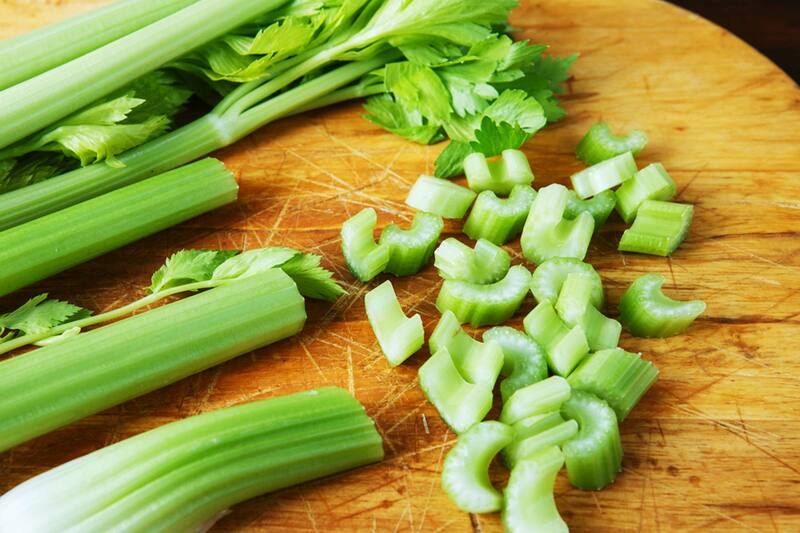 It’s time to stop skipping celery because it tastes like, well, nothing. Because what celery lacks in taste it more than makes up for in brain power! It’s a rich source of luteolin, a plant compound believed to reduce inflammation in the brain, thereby protecting it from the aging process. A 2010 study found that luteolin slowed cognitive decline in older mice. You don’t have to chomp down a huge stick of celery to reap it’s benefits: Try chopping some up and adding it to your tuna salad, or tossing a bunch into the next soup you make. Try these mouthwatering recipes for an extra boost in brain power. These are the best brain foods that will make you smarter. Great news for dark chocolate lovers! Several studies demonstrate its brain-boosting powers, including enhanced cognitive function, a reduced risk of dementia, and improved performance on challenging brain teasers—along with a slew of other health benefits of dark chocolate. For example, researchers in 2013 found that the flavanols that get absorbed when you consume chocolate penetrate and accumulate in the brain regions involved in learning and memory, especially the hippocampus. Another test, carried out in 2011, found that even single doses of high-flavanol dark chocolate can improve performance on cognitive tests, including memory test, in healthy adults. Chocolate has even been found to improve depression and anxiety symptoms and help enhance feelings of calmness and contentedness, thanks to its mood-enhancing flavanols and methylxanthines. All nuts are good for brain health, but walnuts are at the top of the list. Thanks to their high concentration of DHA, a type of omega-3 fatty acid (one quarter cup of walnuts provides almost 100 percent of the recommended daily intake of DHA), the nuts have been linked to brain health in newborns and improved cognitive performance in adults, and prevent or ameliorate age-related cognitive decline. A 2012 study found that walnut consumption may increase inferential reasoning in young adults. Substances called free radicals float through the bloodstream and try to break down the brain cells, which can lead to memory loss as you age. However, antioxidants merge with free radicals and make them harmless—and carrots are loaded with them. Carrots can also protect against other types of cognitive decline, according to a study from 2000, thanks to their ability to lower the oxidative stress in the brain that can weaken nerve signaling capacity. These are the worst foods for your brain.